It is so easy and fun to craft and find activities for my toddler to do during each holiday. I like going online to find coloring pages of the different holidays to explain to my toddler what each one is. I usually will print out two copies, put one in front of her and one in front of me with the crayons spread out in the middle. As we both color I tell her what each holiday is and why we celebrate it. With Cinco De Mayo approaching I love that it is a Mexican holiday so I can to throw in some Spanish lessons too. 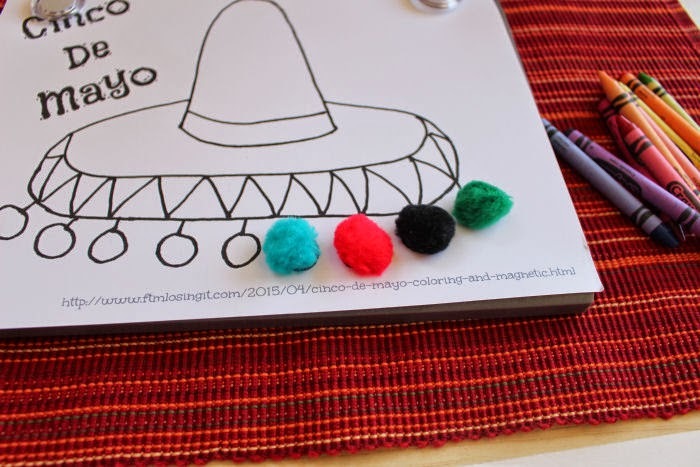 I wanted to create my own coloring page that I could incorporate some magnetic pom poms to decorate. When I made the magnetic pom poms for my Weight Loss Command Center my toddler was intrigued so I had to make some for her too. It is so fun for little ones to change the colors of the pom poms in an instant and to match them up with the circles. First you have to print out the printable. 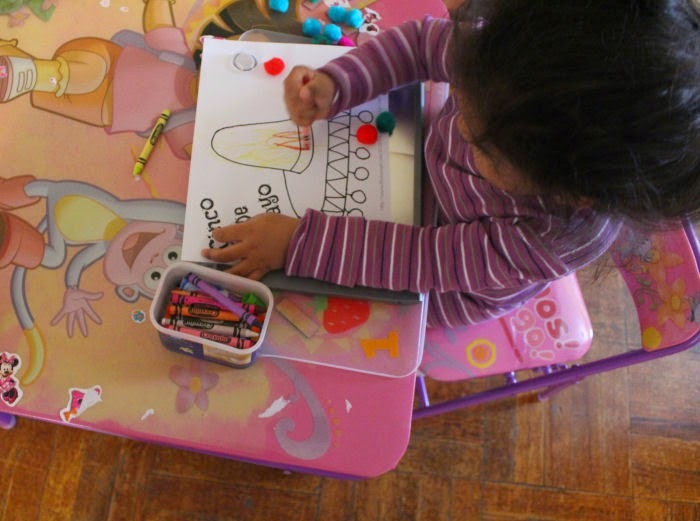 Then you can spread out the crayons and have fun coloring with your toddler or kids. As this point I also take the opportunity to ask my toddler what the different colors are. I usually say "I want to color this part red but I can't find the red. Can you help me?" She is so into helping mommy right now so she gets so happy to get the crayons for me. 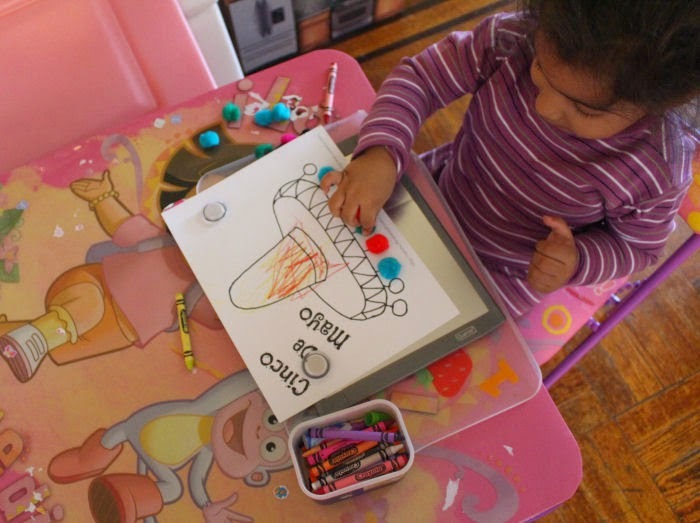 Than you can place the colored printable on top of a magnetic board like the one below. I used the magnets it came with to hold the paper in place. 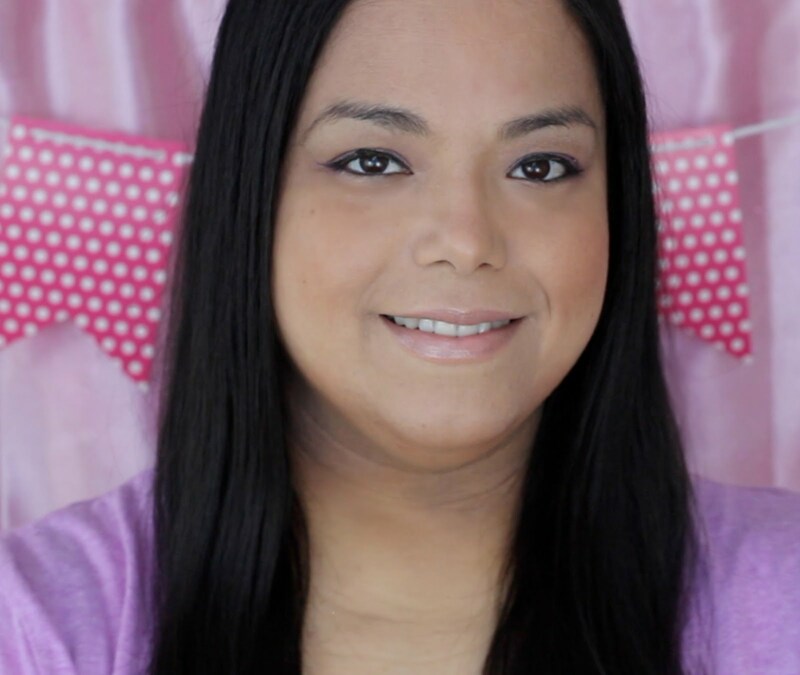 Click on the link for my Weight Loss Command Center to see how I made the magnetic pom poms. Have fun switching up the colors of the pom poms on the colored sombrero. 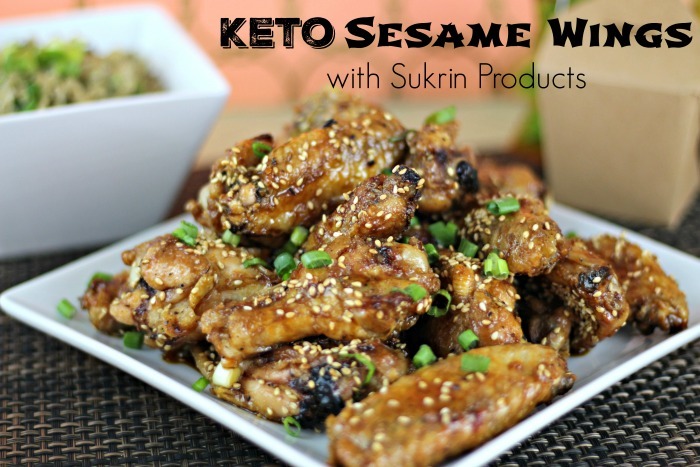 How you do Celebrate Cinco De Mayo with your little ones? What a fun craft! Love those little pom pom! Those pom poms are adorable! My kids will love coloring & adding on the embellishments. That is a really cute idea--bet she has no idea whatsoever how much she is actually learning!! This looks like so much fun and I think my son and I will have to do something similar this weekend! This is adorable! So FuN! We don't really celebrate, but my kids always have parties at school, and I send them with something yummy. I love this magnetic set. My 5 yr old would love putting the pom poms on that hat. This is so fun! My daughter would love it! 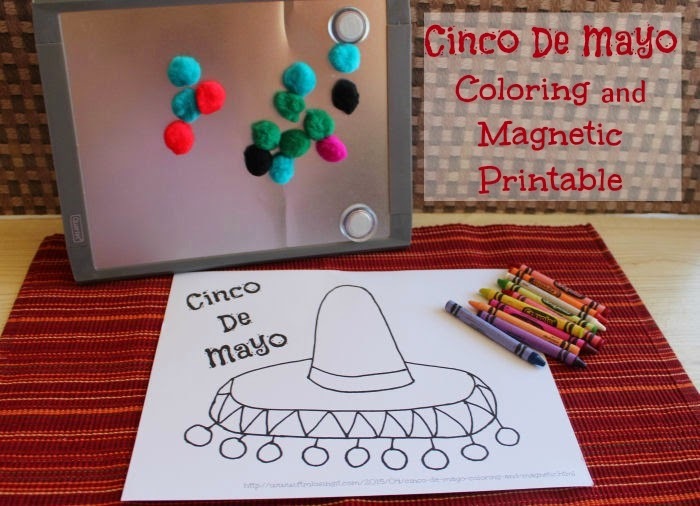 Great Cinco de Mayo project for little ones. Thanks for the print out. I thought the drawing was already cute, but with the pom poms, it's over the top adorable.